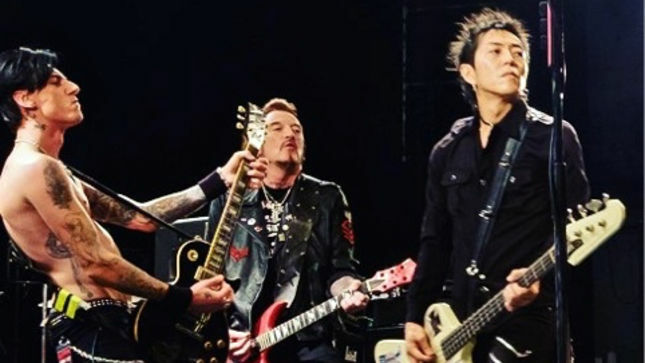 Ginger Wildheart is set to hit the road for a breakneck UK tour with his outfits The Ginger Wildheart Band and Hey! Hello! The live shows will see Ginger chalk up 18 appearances across just 16 days in July, supported at all shows by US power pop titan Ryan Hamilton & The Traitors. Opening the shows at Leeds, Newcastle & Cambridge will be Danny McCormack’s new band, The Main Grains, the first time that Danny and Ginger have shared a stage in years. In London Ginger’s own Hey! Hello! support, while the remaining shows are opened by the UK’s very own rock behemoth Massive Wagons. Ginger is accompanied on these dates by Toshi (bass), Denzel (drums) and Conny Bloom (lead guitar & vocals).